This topic contains 112 replies, has 47 voices, and was last updated by dykask 7 months, 3 weeks ago. Hi simcoeluv, I’m exactly in the position which you aimed your initial posting. I’ve been doing a bit of exercise in order to improve my core strength and have put on about 3kg (of muscle, you can tell by where the shirts are getting tighter). Then I decided to start 5:2 and am on my first fast ‘weekend’. As it stands, I’ll probably try again next Thursday and will definitely go on the Tuesday (which is a non-fast day) and continue do the low impact, everyday stuff. The exercise is not to help me lose weight, it never has been, it’s about allowing the Adonis to evolve from the Ablobis. Good post, no justification required. Im new to 5:2 but certainly not new to dieting! Reading this thread it the most depressing thing Ive ever seen! Loads of people saying “Im now thinking of cutting down my exercise”! No people! Dieting makes you thin, exercise makes you fit. If you want to lose weight and be left with saggy skin and weak muscles then don’t exercise and you will see the scales move. But if you want to look good naked, live longer, be more on the ball and have a healthy heart, get out there and move your bum! @wingy I find it depressing when you attack @simcoeluv by repeating his points: “Dieting makes you thin and exercise makes you fit.” What is depressing about that? Please read again. He is very much in favour of exercise. @wingy please don’t stop commenting because of me. You have not caused offence. Everybody agrees that exercise is good. Its just a question of timing. . I have no credentials, certifications, degrees and so on – I just want to share a little conflict regarding some generalizations that are easy to make. I do it all the time! I also like to learn by thinking out loud. Before I crashed and burned rather drastically aoubt 4 or 5 years agao (both physically and mentally), Exercise played a vital role in helping me to stay fit and trim. Exercise has helped me to both keep the weight off … and … also lose fat fast. The effect that exercise has with regard to shedding the fat fast on me, is and was so effective that I could gain weight without a care knowing all I had to do was life weights and run to shred 10kg/22lbs in as little as two weeks. My diet naturally changed for the better, however there where times I did not change my diet at all and I still put a large dint into the equation. I like the title here, because it reflects a fault that I am prone too. Burn out! Going into things too hard resulting in complications like stressed bones, fatigue, sleeplessness … IMO … for me, exercise can actually improve my diet through improved awareness that comes from increased O2 utilization. Obtaining such a level of fitness has never been something I obtained from walking 25 miles … Just as all the variables I mentioned that I believe relate to my success with exercises – the intensity is also something that makes or breaks my goal with regard to using exercise to lose weight. The good news there, is that it takes a small fraction of the time required to up the intensity level Vs strolling in the park – but then I can factor in my weight at other times and heart rate, which have indeed made walking in the park an excellent way for me to lose weight. Ten to twenty minute bouts was enough. Forgive me, as I don’t mean to talk in circles but trying to make a point that there is so much to factor in, when generalizing the effects of exercise and weight loss. I’m sure for some people this might be the case – BUT – I think that statement was kind of misleading and aimed at promoting his venture or something like that. My break down on that, is that if your old, in your twilight years, have limitations of some other factor relating to whatever condition/time restraints … that of course you don’t have run or jog to lose weight – doing so for many individuals is more harmful than good … but to say that the lady in the background is wasting her time, without knowing the variables in her own life … for me, that kind of diminished anything else that was presented after that although I like most of what I heard. I think at the end of the day, many of us talk ourselves into finding good reasons not to put in the effort when we know making the changes are so hard. For me – Food is Hard!!!! Not Easy … but for many others, their set of variables and circumstances have seen handling the food side of things easier and get by without the exercise .. so for them, it’s easy go with what generalizations that make their ego feel a little better. Not sure if that came out right? hmmmm … For me … I would say … “Narrrrr just hit the treadmill mate, you don’t need to starve yourself like that. You don’t need to deprive yourself like that! You turning into some kind of Monk or something?” That’s me playing into my Ego knowing full well, I wish I could control the food so I did not have flog myself so much with an approach that’s secretly growing more like a chain and ball as opposed to my super hero approach. Sorry for the long post Sim … I most likely don’t understand the context as that happens often with me. I absolutely agree with the title, because I get that context … In my own way. This whole 5:2 thing is something I really need to get on board with, because as I get older … I know I can not sustain the intensity of “comebacks” I often relied on … my own strengths have become my weakness’s as I now approach 50 in the next 4 years. My super Hero approach can no longer work for me – No longer a foot ball player running of the seasons fat. I hope that I can put in the same kind of passion I did with those comebacks, into this new lifestyle. The only exercise I yearn to do for the rest of my life is to in fact walk long distances which I guess sounds ironic … I’m not into the hum drum of main stream living so that suits me fine. I’ve been heading towards a minimalist lifestyle for quite some time now, and this approach is very much in line with that. I think this 5:2 way of living is just the key I needed to transition into a balance I have never been able to obtain. Heading off to read some more of your awesome tips! Interesting stuff Davekyn, you sound like me – only even more so, if that makes any sense. You wrote that a couple of weeks ago, have you been on 5:2 since? If so, how’s it going? Hi Davekyn, interesting post – thank you for sharing. With regard to the 60 minutes programme: I haven’t seen it but it sounds like they were possibly talking to Michael himself and if that was in the last year or so he was probably covering both 5:2 and his interest in HIIT (High Intensity Interval Training). Like 5:2, he covered HIIT in a BBC Horizon documentary about a year and a half ago I think. The documentary and the science behind HIIT did seem to bear out his assertion that a few minutes a week (I think it was 3 minutes per session 3-4 times a week but I’m not sure) would assist fat burning for most individuals better than slogging it out on a treadmill for hours on end. I don’t think that concept is particularly ground breaking, as there have been circuit training and interval training around for donkey’s years but the specifics of the level of effort expended over very short periods and the stats and data points supporting the science was interesting. Just FYI, I enjoy low-flying aerial dancing. Three times a week I dance on three different apparatuses (trapeze, rope, and sling). If I was to do that without warming up with a workout at the gym first (that I work on with a fitness trainer at said gym) I would definitely risk injury, so for me, the absence of workout would be dangerous. Last year my nutritionist recommended HIIT to me, and I started incorporating one round into my workouts before I go to the aerial studio, so I have been doing that for a while, but saw no weight improvement. Then I got a mailer for a weekly HIT class that I started taking last year. Again, no weight difference. However, that was before I started the 5:2 (this week). My naturopath recommends accompanying the 5:2 with 30 minutes of HIT, six times a week. He knows I’m not about to alter the workout I do before aerials, or stop taking the weekly class. However, I have just started supplementing all of the above with the workout he gave me. I will be doing that three times this week (since the class was cancelled this week). So far, I’m down about 2.5 pounds since I started. I can’t recall the last time that happened, so I’m quite chuffed at the moment, but have no expectations that will keep going (though wouldn’t it be nice if it did!). At any rate, I just wanted to say that my naturopath recommends 30-minute workouts six times a week for me personally (I can’t speak for anyone else–your mileage WILL vary). I’m currently working out 1 1/2 hours (gym and aerials combined) three times weekly, with 1/2 hour workouts on the other three days. I know that isn’t necessary, but the whole reason I want to trim down is so I can do aerials better. It’s much easier to flip over backwards when you weigh less ;-). Just my 2p. Oh my! – you totally win the ‘most fun sounding’ exercise award… low flying aerial dancing sounds AMAZEBALLS!!! I used to go jiving twice a week before I started 5:2. Never lost any weight through exercise EVER (even now it’s totally put the breaks on my losses) but I did enjoy my jiving. There aren’t any clubs near where I live now, so it’s out of my life for now but I do miss it. Keep enjoying your classes & best of luck on 5:2. Many thanks for your support. By jiving, are you referring to swing dance perhaps? Sorry, on this side of the pond jiving tends to mean something like kidding. Many thanks again. Like swing but for rock & roll beat rather than swing speed. Lots of rocking & twirling. Not too many lifts when I was doing it as I insisted that it would be a bad idea for anyone to try with me (I was always heavier than I looked – so some guys would probably have tried if I hadn’t made it clear that they shouldn’t). Thanks Simcoeluv for your explanation. It’s really given me a boost. I’m doing all the right things regarding 500 calories on fast days and not too many on my ‘off days’, but I am also exercising 3 times a week. The exercise is really important to me as after a few years of not being able to exercise (due to back surgery), I’m thoroughly enjoying being back at the gym. My weight is almost the same as when I started which I hoped it wouldn’t be, but I feel fitter generally. I started 5:2 because I wanted to lose weight. I am disappointed that I haven’t lost a lot like others, but it’s been good too as it’s challenged my thoughts around food and I’m feeling fitter from the gym. I actually have some muscle tone too! I appreciate the clarification. I hope you find a place nearby so you can start your jiving again if you’d like. I Kind of agree and kind of don’t. After spending a long time, training 5 days per week and eating ‘well’. My Body fat percentage didn’t change. Doing the 5:2 and training 3 times per week, I have lost 6lb in 3 weeks. However that doesn’t mean its dangerous to your diet. In Fact most people in the fitness industry (and I work in it) advocate that improving your body is mainly down to what you eat. The popular mottos are ‘you can’t out train a bad diet’, ‘health is 90% food and only 10% exercising’, ‘abs are made in the kitchen’ etc. The Fitness industry runs on exercise and eating ‘right’ which is why the sports supplements industry is so huge. Although I don’t think the sports supplements are the best way to eat a healthy diet (my personal opinion). My own view is that people who embark on a new diet/ fitness regime tend to go at it full on. Cut calories and exercise excessively. This isn’t sustainable and after a few months, they get fed up and stop both. Moderation is key. Get some exercise and follow a healthy diet. A healthy diet for me is 5:2. Even body building competitors do not go at it 100% when starting their fat loss for competition. They start by reducing calories, then adding HIIT then review calories and macros, then more cardio an so on. By the time competition comes round they are doing everything they can, before slowing down the week before. Regarding the argument about muscle weighing more than fat, yes it does. It you take a 4 inch cube of muscle and a 4 inch cube of fat and weigh them, the fat weighs more. Fat takes up to 4 times as much space as muscle. So there for you could inches but weigh the same. Please please think…. 1lb of muscle weighs the same as a 1lb of fat. It’s just that muscle is dense and fat isn’t. Think of a 1lb of potatoes and a 1lb of feathers one will take up far more space as “lovetolift” says, but scientifically a 1lb is a 1lb!! So you may end up weighing the same but more of your body will be muscle and it will take up less room so keep on exercising because that is what your body was designed to do. Exactly Jenni Tee, you explained it far better than I did. My youngest is subjecting me to sleep deprivation!! And in my first post I meant a cube of muscle weighs more. Apologies. sleep deprivation is bone deep and grandmas suffer from it too!……. Hey all. There are a ton of great ideas being floated here. I thought I’d share a few articles that I’ve found interesting on the subject. There’s a whole lot of information out there, some of it even conflicting, and it might be interesting see where your personal experiences line up (or don’t!). First off, as stated by sylvestra, exercise is not compulsory for a successful 5:2 diet for those with weight loss as a prime goal. Loss of fat plus the inherent health benefits of fasting make it completely viable on its own, particularly for those for whom exercise is undesirable or not an option for whatever reason. The article that @maryann posted a while back from a scientific study at UIC first published in 2013 is a good read, full text article available: http://onlinelibrary.wiley.com/doi/10.1002/oby.20353/full. I think an important takeaway from this fantastic discussion is that everyone is different and thus, our approaches to our individual health and fitness goals will inevitably be different. Perhaps your personal experiences en route to a healthy lifestyle will differ from the findings of these studies. Although increased caloric output (ie exercise) can increase appetite, what I have found often with friends and clients is something similar to what Purple Vegie Eater and Davekyn describe with regards to healthy decisions breeding more healthy decisions. Once you begin exercising regularly, you may start to forego empty calories and crave more nutrient-rich food. Maybe. On the other hand, perhaps the only thing getting you through your workout is the idea of a cheesy pizza at the end of it all. We are all different and this is okay. One final reminder that I will leave you with, cliche though it may be, is the fact that a lower number on the scale is just one of the many contributors to overall health. Although it may not be the most effective form of weight loss, exercise has an undeniable slew of benefits, both physical and mental for every body. The key is finding a way that works for you and your goals. Perhaps, crazy though it may sound, even something you enjoy. Swift DL, Lavie CJ, Johannsen NM, et al. Physical activity, cardiorespiratory fitness, and exercise training in primary and secondary coronary prevention. Circ J. 2013;77:281–92. Oh Sechang, Tanaka Kiyoji, Tsujimoto Takehiko, So Rina, Shida Takashi, and Shoda Junichi. Metabolic Syndrome and Related Disorders. June 2014, 12(5): 290-298. doi:10.1089/met.2013.0143. I’ve been doing this for 3 weeks and haven’t really lost a lot of weight, but I feel great. I do also think my tummy has shrunk a little bit, but not 100% sure. If you are not losing weight, you have to decide if you want to lose weight. If you do want to lose weight, you will need to insure you are not overeating on your non diet days and confirm you are not overeating on your diet days. If you are not overeating, then it appears your exercise might be slowing down your weight loss. It is up to you what you want to do about that. Very good on you for undertaking such a schedule. This thread is teeming with people who have experienced something similar. There are many reasons you might not be losing weight: perhaps on your ‘off days,’ you’re going a little heavy on the calories, perhaps your salt intake is too high and therefore you are retaining more water, maybe you are already at a healthy, base weight and the law of diminishing returns applies. Additionally, you seem to be engaging primarily in endurance aerobic activity, which is great, however it doesn’t burn as many calories as one might think and unlike HIIT and weight training, the burning stops pretty much simultaneously with the exercise itself. All in all though, unless you actually have someone there with you monitoring your intake and output, this will all be speculation. If you are concerned, I would recommend getting some one on one attention from a qualified personal trainer. At this point though, if you are feeling great, I think that is the important thing to be focusing on. Both fasting as well as exercise have so many benefits not exclusive to weight loss, and by sticking to your plan, you are reaping them all. As @simcoeluv says, be specific with your goals. You sound like you’ve had a great start- keep it up and keep us posted on your progress! I would take issue with you on one point. I surely cannot be the only person on the planet who does not get hungrier when I exercise. In fact the opposite is true – I get less hungry. I think the trick is perhaps to find a form of exercise that you really love. Call me a sad bar steward but the highlight of my day, my week and of my year is to go for a walk in the mountains. I love it so much that I can often forget to eat during the course of a walk of 6 to 10 miles (or more). I take one small sandwich and usually give half of it to my dog. I also like to cycle (but prefer walking) and the same is true for cycling for me. Gyms bore me shedless, so I would probably need more than a pint of beer after a session in a gym. I exercise to keep fit, not to lose weight. I came to the conclusion that this was a better reason after throwing money at a gym for many years and leaving at the end the same weight as when I started. Unfortunately exercise makes me hungry and I eat to compensate; spend an hour running on a treadmill, then go home and eat a pizza. While on the 5:2 now, I walk 5 miles three times a week. I do this because on those three days (non fast days) I have increased my TDEE for that particular day and I can have a treat like a piece of carrot cake or a some ice cream. I know exercise will not lose me any weight, so the treats make being on a ‘diet’ less of a chore and are something to look forward to that I feel I have earned. Don’t try to stop me having the treats, I’m stubborn and I won’t be listening. I started at the gym to get fit too. It became clear to me that when i looked at the calories burned during a gym session that the only way that I was going to lose weight was by eating less. So, I eat my meal after a gym session and now have a treat on a Saturday and a Sunday, provided that I have walked the 10,000 steps each day. However, that treat is deducted from the daily TDEE.Sometimes I choose to ‘spend’ 600 calories on an almond croissant and some times I choose to eat a whole meal instead! As I have lost weight, I have seen muscle peeking out from my stomach and upper arms. Rather than cover it in fat, I want that definition…and to see more of it, which is my incentive to limit the treats. Well done on increasing your walking. Could you walk 10,000 steps every day? That would help you build more muscle, which will burn more calories and will tone too. Have you had a look on the internet at what 1 lb of muscle looks like in comparison to 1 lb of fat? Treats are important and I would never suggest that you shouldn’t have them. Have you looked at how many calories you burn after a 5 mile walk and what that might equate to in food terms? If you haven’t tried it, give it a go for a few weeks. I found that I was making different choices that meant that I was still having treats and losing weight too. Win win. A brisk walk of 5 miles over 90 minutes comes to about 700 calories. I don’t know about doing it every day though, might be a bit too much for my tired old legs. The idea is that your TDEE is the same every day and that any exercise that you take is simply part of that figure, as it is adjusted on how much exercise you do on a daily basis.If you consume an extra 700 calories on the days that you walk 5 miles, then you will not lose any weight. As a pizza may well come in at 1000 calories, you may find that you put weight on.I walk between 14-16000 steps Mon-Fri to get to and from work and through the day, but I have to work hard to get up to 10,000 steps each day at the weekend. The calories that I earn are not extra to my TDEE, but part of it.It does get easier as the weeks tick by, but habits have to change if you want to lose the weight and keep it off. Ignore the calories that you have ‘earned’ by walking. Exercise is good for fitness and toning, increasing muscle mass-which in turn will burn calories but fat doesn’t do anything.Remember that a lb of fat weighs the same as a lb of muscle, but as muscle is more dense it takes up less room under your skin. You might find it helpful to look at the sugar in your diet. I have been horrified at how much sugar, both hidden and obvious that we are consuming in both savoury and sweet foods. It does get easier Graham. Keep going, don’t give up. Trouble is I’ve now got a carrot cake to get rid of because I don’t really feel like eating it. Of course, if I didn’t have it in the cupboard I’d be wanting to go out and buy one so I can stuff myself with it after the walk I’ve been on earlier. Life’s a bummer. So how many calories are in the carrot cake? Will you be over your TDEE if you eat it? Remember, the walk does not earn you the calories to scoff the cake. You are not a dustbin Graham. Cut the cake up into normal size portions and freeze individual portions. That way the cake is in the house, but you won’t be able to eat frozen cake. Find something to occupy you, but that isn’t in the kitchen. Habits make us fat. Change the habit. Do something different. Chuck the cake in the bin and don’t buy any more. The problem is not the cake, but that your mindset is that you deserve to in your own words stuff yourself after treating your body with respect by doing some exercise. I’m not criticising, I had to overcome this myself and I have succeeded by exercising first thing in the morning on an empty stomach and then breaking my fast with a healthy but delicious breakfast of home made granola, fruit and yoghurt. When I first started exercising I really wanted to have a fry up, but I now look forward to my granola which is very tasty and fills me up until dinner time. Try to substitute the cake for something you like with less calories and sugar. Please don’t chuck the cake in the bin! Either give it to a neighbour or put it out for the birds. Birds love cake! It’s your choice whether you eat ‘treats’ or not…but you’ll be bagging Wainwrights sooner the greater calorie deficit you can achieve…. In case nobody has suggested it, I would advise you to cut the cake into healthy sized portions and freeze them. Then go out and bag a few Wainwrights. If you can’t spare the time to travel to the Lake District today, how about some virtual Wainwrights? Find some mountains or hills close to home and bag them. No mountains near to home? Do virtual mountains! Flat walks will do just as well if you increase the pace at which you walk and walk and/or walk further. When I started reading the posts in this forum, I thought: I haven’t got time to walk 10,000 steps a day and I had no idea how far 10,000 steps is. Now I know it’s 5 miles. Who am I fooling? 5 miles on flat terrain would take me 1 hour 40 minutes, probably less. I tried it yesterday with a friend but we stopped for a cup of coffee mid-way, so it took longer and we window shopped a bit. I do at least a 5 mile walk most weekends and thought that once a week was enough. I also walk the dog 3 times a day and that adds up to a mile or more. But here’s the problem: I am not a healthy man, as I have recently found out. I had no idea (honestly) until I started getting cramps and went to my doctor. He sent me to a specialist and he is sending me for tests (lots of tests). So I can’t be as healthy as I thought, can I.
I now realise that I can easily afford 1.5 hours per day to go for a 5 mile walk. Because, if I don’t, I might be dead soon. I’m not being melodramatic. I am pretty sure that my problem is that my arteries are fuzzed up with fat deposits. I’m not fat, all my friends say I don’t need to diet. But they are wrong and I definitely need to do those 5 miles a day. You see apart from the daily dog walks and the weekend trip to the campo (Spanish for countryside – I live in Spain) I sit at a computer far too much and I am not a stranger to the tele. The guy who started this thread has got it all wrong. Exercise is very good for you, it’s essential. What’s bad for you is forums like this one, because we spend far too much time on them – well I do. I have a dog and I have a couple of friends who are more than willing to walk with me. I’ve even bought the shoes. I’m going to ring round and organise another walk (I did one yesterday). If push comes to shove, I would even walk on my own. I can see a few mountains from my window, so I really have no excuse and the doctor has given me all the motivation I need – it’s just taken me a while to cotton on. STOP VISITING FORUMS, GO FOR A WALK! Hi Mark, I’m exactly the same as you, I spend too much time on this forum thinking about going for a walk but not actually doing one. I do go for a 5 mile walk twice a week at the moment on my fast days and as I live in Cumbria I really have no excuse not to do a few Wainwrights sometime, though there is snow on top of Helvellyn at the moment so I may have to tackle some of the smaller ones first. It’s raining today, so that’s my excuse for not going for a walk at the moment. I threw the carrot cake in the bin, but after I read Milena’s post I got it out again and put it on the bird table; it’s nearly all gone. Good luck with the tests Mark, hope everything works out well for you. I’m not saying don’t eat cake as I eat it, but it is an occasional treat rather than a regular habit these days. I feel so much better for having lost weight and gotten fitter. Both are still a work in progress and I know that I’ll be doing 5:2 for the rest of my life if I want to stay slim once I reach goal, but I can live with that. I might give that a go Amazon. I tend to be an all or nothing type of guy and often think that it’s not worth going out unless I do the full 5 miles or so. Maybe I’ll just walk to the next village and back on the other days, a round trip of about two miles, or up the coastal path for a couple of miles and get the train back. I did read the post. My remark was not serious, just as I’m sure your title for the thread was not serious. You were looking for attention and so was I! I am retired and decided not to live in the Lake District because I wanted somewhere new and did not want to tire of my favourite place in England through over-familiarity. But I love Cumbria and come over from Spain once or twice every year to do a walking holiday there. “I’ll just walk to the next village and back on the other days, a round trip of about two miles, or up the coastal path for a couple of miles and get the train back.” I suppose that’s the Ratty then? I’m planning to use it in May! Will I be able to take my dog on it? No popping in the pub in that village for a half of Old Peculiar! The title for my post was carefully chosen and quite serious. You don’t have to look far on this or any other diet site to find people that will quit their diet on the spot when they don’t lose weight as they expect and don’t understand why. Sometimes, if they understand what is going on, they don’t quit their diet and end up much lighter and quite happy. That it the point of my post – to prevent at least a few people from dropping a perfectly good diet because they are uninformed. Obviously I did not think I was mischaracterising your post. I thought that the title “Exercise Is Dangerous For Your Diet” was NOT indicating what you really believe. I thought that it was meant to draw attention to the fallacy. Perhaps the word “dangerous” is where the problem lies. I had no intention to insult, belittle or offend you in any way. I didn’t think I was even disagreeing with you. I would like to make that clear. I am a little confused now about whether we are agreeing or disagreeing on the issue. I see no clear and simple connection between diet and exercise and think that that is what Mosley’s books are saying. Of course I do not want people to drop the 5:2 diet. Of course I understand that exercise will not necessarily help people to lose weight. But that should not discourage anyone from continuing either the diet or their exercise regime. In the end exercise is more important than diet. To put it crudely, people who are fat and fit are in a better place than people who are slim and unfit. Clearly it is better to be slim and fit, if we can achieve that and generally we can. Hi Mark, I’ve seen people with dogs on La’al Ratty, though I’ve got a feeling that they charge something for them. I was thinking more of the main line coastal train that runs from Morecambe to Carlisle, with a station seemingly every two to three miles. Of course you’re right that people shouldn’t expect to lose weight every day or week or even month. I walked three miles almost every day during the whole of my years of fast-dieting. That adds up to at least 1000 miles per year or 40 pounds/year at your 25 miles/pound. And that represented only about half of my exercising. So it’s not that insignificant. Certainly I may have lost weight faster (and more reliably) if I hadn’t exercised, but I would also have missed a lot of good eating. A primary reason to lose weight if you’re older is to gain mobility. I, like most people I think, want to be able to walk long distances without tiring and to run fast for a short distance. I also want to reduce my susceptibility to falling injury. These things impossible to achieve without both losing weight and exercising if your old and fat. Eventually I came to a place where people were telling me that I looked too thin. I still had a big glob of fat (mostly hidden by clothes) but I couldn’t lose it without looking bad, so to look better I had to put on muscle with strength training; dieting alone won’t even work from the vanity perspective. And even if you like that emaciated look, you need something other than skin and bones to have good metabolic stability. I can testify that exercise, especially vigorous exercise, is more enjoyable if you’re not obese, and its safer for the joints. So in my opinion, dieting should come first. I didn’t know that that railway line existed. And we are actually staying on a farm campsite between Coniston and Ulverston. I was looking forward to seeing the Duddon valley again and doing some walks round there. I’m not keen on walking on roads, I prefer footpaths. The problem is that you are forced to do circular walks very often. However a railway line makes linear walks possible too. Do you know where I might find out about linear walks using the Cumbrian coastal railway line? Years ago we did the Thames path from Oxford to Windsor over the course of a week and we used the car and the railway to make it possible to do the walk without covering the same ground twice. That was a wonderful holiday, we stayed on a campsite on an island in the middle of the river Thames at Hurley lock. The Cumbrian Coastal Way details a walk along the entire coast from Morecambe to Gretna Green. Bear in mind that it is over 20 years old, so some things may have changed, new houses built etc., though the bits that I have walked are mostly accurate. 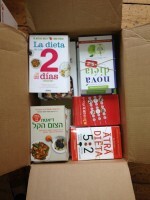 I’ve posted two links, one for Amazon.co.uk and another for the Spanish equivalent. The railway line from Morecambe to Milom goes across the bay and cannot be walked alongside of (ditches, bogs, quicksand etc.) and the line from Carlisle to Gretna I think is a main line and doesn’t have any little stations. Thanks for that, Graham. I’ll give that a try. My internet connection was slow the last 2 days and couldn’t get back to you more quickly. The school kids are on holiday. We’ve ordered fibre optic but there has been a problem with the installation – very Spanish! I’ve also ordered the Cumbrian Way book, although I have done more than half that walk albeit in shorter walks and spread over a long period of time. I did my 5 miles of walking before 2pm today. I persuaded a German friend to do it with me. I reckon the path is close to being vertical: it’s Monte Paloma which is behind Torremolinos. From the land side of the mountain (Alhaurin de la Torre) it’s a truly beautiful walk and is in the shade in the morning. Lots of very rocky mountain paths with a lot of trees and mountain flowers and rosemary bushes all the way. The dog and I slept for 2 hours after that! Well, it was siesta time. Thank you simcoeluv, I am a newbie in week two of the 5:2 fast diet after watching Dr. Mosley’s documentary. I’ve had many diet failures… Specifically, four years ago I followed weight watchers to a T… lost 30 lbs by calorie restriction and exercise. One year into it I realized I was miserable… I had becomed obsessed with inputting every morsel of food into my journal and I couldn’t freely go out for a walk without my heart monitor/calorie tracker. For me, that (food=calories, living and eating = math equation) was no way to live. Fast-forward three years and I’m back to my original high weight. In Krista Varady’s studies, people who did mADF (modified alternate day fasting, i.e., like 5:2 but every other day) AND exercise lost more than people who did only mADF. Exercise alone may not be good for weight loss, but exercise with a calorie reduced diet improves the loss and I’ll bet it improves health markers, too. If exercise is making you hungry, and that makes your life difficult, then I can see why people might not do it while they are trying to lose weight. It doesn’t really have that effect on me. On fast days, if anything it acts a temporary hunger suppressant, and then I just have whatever dinner I planned on having. If you hate exercise do something you love, walk the dog, dance, whatever, its all movement. If you do exercise keep it short and fast. No need to do long sessions. Short and bonkers, or short and explosive.